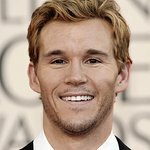 Ryan Kwanten, star of HBO’s True Blood, collaborated with jewelry company, SKY and LIVI, to create a unique blue diamond pendant utilizing his hair to be auctioned off on Charitybuzz.com with 100% of the proceeds going to the charity, Look Good Feel Better. The pendant necklace is valued at more than $16,000.00 and available to bid on now at www.charitybuzz.com/RyanKwanten. SKY and LIVI is a diamond & jewelry company like you’ve never seen. Born out of a desire to redefine the way a woman copes with hair loss from chemotherapy, turning the process of cancer treatment into a one-of-a-kind, poetic, and deeply personal symbol that inspires a woman not to give up her fight against cancer. SKY and LIVI creates a real, lab-grown personal diamond produced from a lock of her hair, which is fashioned into a beautiful pendant, and acts as a tool and symbol of her endurance. In the USA alone, over 750,000 women are diagnosed with some form of cancer every year. From that staggering figure, about a third undergo some form of chemo or radiation therapy. While side effects vary greatly, the loss of hair is particularly traumatic for women, often demoralizing them to such an extent that they give up all hope of recovering. Sadly, 8% of women opt not to receive treatment from fear of losing their precious hair. This is where Founder & CEO of SKY and LIVI, Anjanette Sinesio, enters the conversation. Over a decade ago, the loss of her aunt, father and grandfather to cancer, all within two years, left an indelible mark on her life. She has also seen her friends and family battle cancer and survive. Sinesio saw how one’s emotional state played a huge part in survival. Sinesio began to research a new technology, which creates diamonds in a laboratory from the unique carbon signature of a person’s hair, and she saw the vision of her current compassionate enterprise. SKY and LIVI grew out of her inspiration to help women transform this very defining moment of hair loss by giving them an option not to just to throw their hair in the garbage. Now, they can create a beautiful diamond from their hair set in specially designed pendants, that can inspire them not to give up the fight against this dreaded disease.